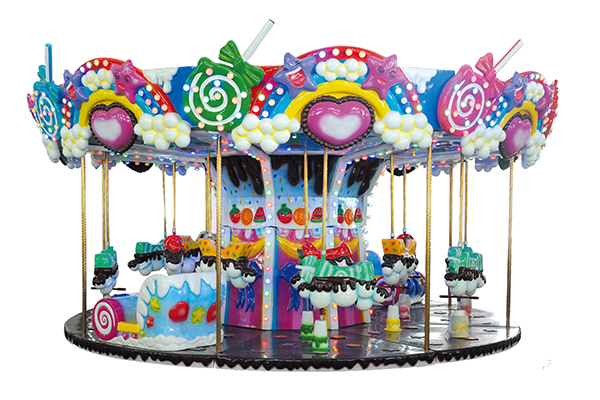 Animal carousel called the carousel amusement equipment,now the carousel equipment have separated as luxury merry go round and simple merry go round carousel two categories, just like flying chair. Carousel is a relatively old equipment, but the attractive to children and tourists of the carousel remains unchanged. Now the design of merry-go-round had broken through the original simply structure shape, into a wide variety of animal shapes, such as the lion, tiger, dolphins and so on,so the carousel can also be called animal carousel.Customers can buy the animal merry go round according to their own requirements,this make animal carousel more attractive and interesting.